People ask me what I’m up to now that it’s winter. 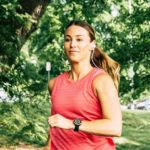 They ask if I ski or snowboard, and I say, “I run!” Living in the Boston winters don’t make it easy, but there are ways to make training in the winter more manageable. Play around with what layers work for you. I’ve found that on the cold days, my regular outfit consists of fleece-lined running tights, a tank top, fleece-lined pullover, windbreaker, ear warmers, neck warmer to pull over my face, wool running socks and a good pair of gloves. Although good running clothes can be expensive, I have spent the money on the winter running gear to make sure I stay warm. You can wear the gear a few more times during the week because you might not sweat as much, so it doesn’t hurt the wallet as much. The winter months often means darkness for most of my running. I always wear a reflective vest and try to wear my headlamp if I’m running around the home, where it’s not as well lit. If I run in downtown Boston, there are more street lights, so I’m covered. If a headlamp isn’t your thing, I actually have carried my bike light, which is bright enough for me to see the ground and not trip … let’s be honest … aren’t most runners pretty clumsy … or is it just me?! I prefer to run outside because I find the treadmill boring, but there have been times the roads and sidewalks are just too dangerous to run on. If sidewalks aren’t plowed, you’d be forced to run in the road, which is dangerous and also annoying for cars. Sometimes sidewalks may be clear, but it might be too icy. I’ve fallen before on my hip and was afraid I did some serious damage (thankfully I was just really sore, but you never know!). Don’t think of heading to the treadmill as not being “badass.” Think of the treadmill as being wise and it challenges you to develop some mental toughness. It takes some serious mental toughness to run long periods on a treadmill! I also realize that the treadmill may be the only way some people can get a workout done because of time constraints or safety (like if you are traveling and running in a new area). If there is bad weather out or it’s dark out, it’s always tough to get motivated to get out there. Knowing that a friend is depending on you to be there will keep you accountable. It also doesn’t hurt to have someone with you in case you fall or something else happens. 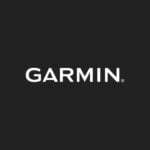 If you don’t have a buddy, the Garmin LiveTrack function might be a great tool to utilize. You can share the link to your tracking data with specific people, so that they can see where you are and your stats. Did you know that your Garmin has a weather app so you can see what the temperature is outside? If you are wearing it, it can be a quick way to see how cold it is out. I also have been using my HR to track the intensity of my workouts. My body reacts differently in different temperatures and it’s important to see if your run is an easy run or not. Your heart rate is the perfect indicator of that! What are your favorite tips for running in the winter? Are you a treadmill winter runner or do you try to run outside as much as possible?